Fast and Clean. No, we are not talking about food service here. We are talking about the killing of the North Korean leader's half-brother right smack at the KL International Airport 2. TWO fair-skinned women, both with shoulder-length hair, walked up to an unsuspecting Kim Jong-nam, grabbed his face and splashed it with a lethal liquid that left him dead within hours. One of the women was wearing a white top, a denim skirt and a blue backpack. The second woman was in a blue top and a pair of jeans. Both are believed to have features similar to Korean women. After pulling off their daring act, they quickly walked out of the KLIA2 terminal and took a cab. It all happened so quickly that MAHB and airport staff were oblivious to what had happened. It was only when Jong-nam approached a customer service officer to tell her of his pain that the horror of the assassination came to light. Mystery woman: A CCTV screen grab showing a woman outside what looked like the airport, was circulated briefly after news broke last night that the half-brother of North Korean leader Kim Jong-un had been killed in Malaysia. 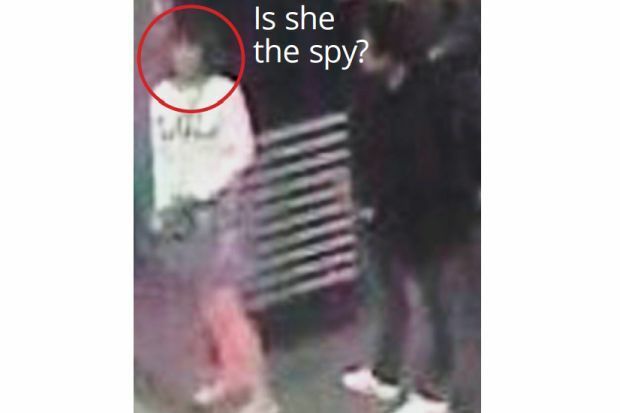 The picture fits the description of one of the two women believed to be North Korean spies, who had poisoned Kim Jong-nam during a brazen attack at KLIA2. KUALA LUMPUR: The half-brother of North Korean leader Kim Jong-un has been assassinated in Malaysia, believed to be by two women operatives who attacked him with liquid poison just before he was to take a flight to Macau. The 45-year-old was killed by the two female agents who splashed his face with a chemical at the airport’s departure hall at about 9am on Monday. The women later got into a cab and fled. It is believed that Jong-nam arrived in Malaysia from Macau on Feb 6 and was about to leave when he was attacked by the female spies.